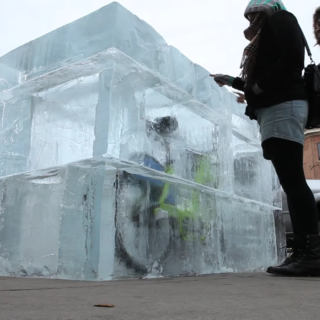 Themed rides can be a great way to initiate community engagement with bike share. This month in Chicago, women’s empowerment was the platform for an event near the 606 Trail. The gathering took place Saturday, October 27th, and began at Walsh Park, one end of the Bloomingdale Trail (also known as the 606). 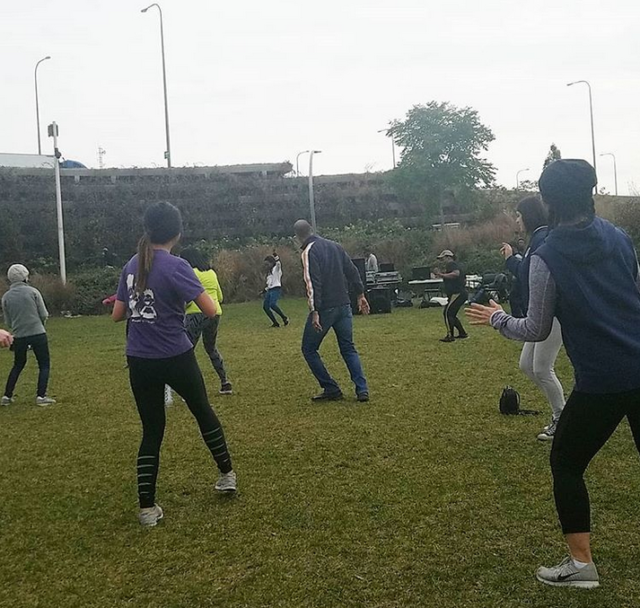 The day kicked off with yoga and zumba in the park, followed by a two-mile ride. Plenty of healthy snacks were available, as well as bike mechanics to offer free tune-ups. Participants practice Zumba before the bike ride. Source: Divvy Bikes. The ride was a chance to celebrate Women’s Bike Month, and it comes at a time when the #MeToo movement and other pressing issues of empowerment for women-identified individuals are gaining voice and dominating the news cycle. Johntuanay Johnson, Outreach Coordinator for Divvy Bikes, was the official host of the event. This provided an opportunity to share marketing opportunities, such as a Motivate promo code that donates a dollar to School Cycle with each cycling trip. Additionally, local organizations were tabling on site. 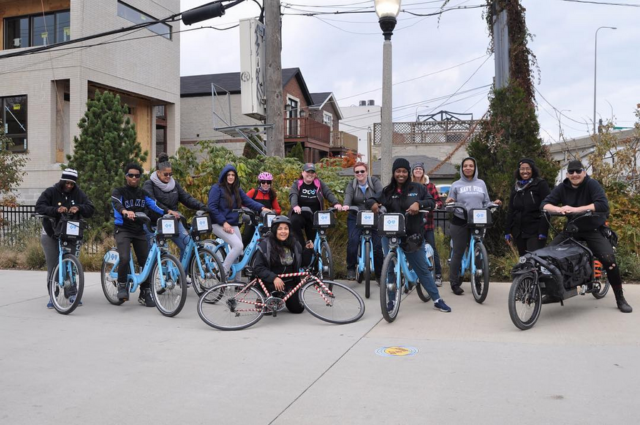 Having Divvy Bikes and community-based organization West Town Bikes collaborate on an event was a marker of progress for both. These kinds of functions act as a means of strengthening the partnership between the operator and the group with strong ties to local residents and a focus on equity. 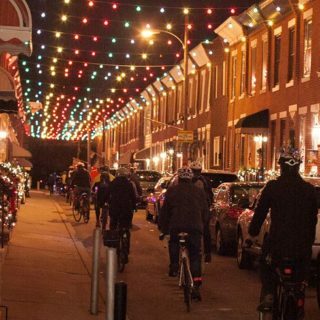 Divvy and West Town Bikes have a host of other community engagement activities of course. 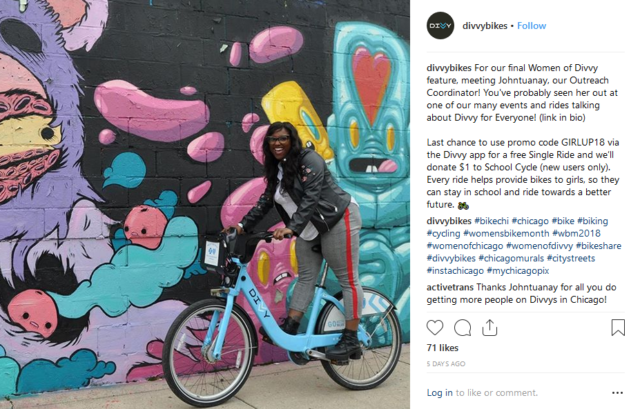 Limonez and Johnson recently did Instagram takeovers of Divvy’s page to activate their social media account and cross-pollinate followers. 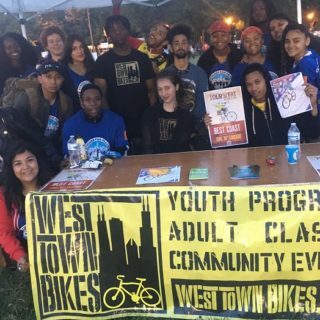 West Town Bikes also has hopes of getting a digital literacy program up and running in the future, and has been working to implement urban planning principles into the community-based work. The bike share ambassadors are another important asset, as they can advocate for safer cycling infrastructure, such as protected bike lanes.